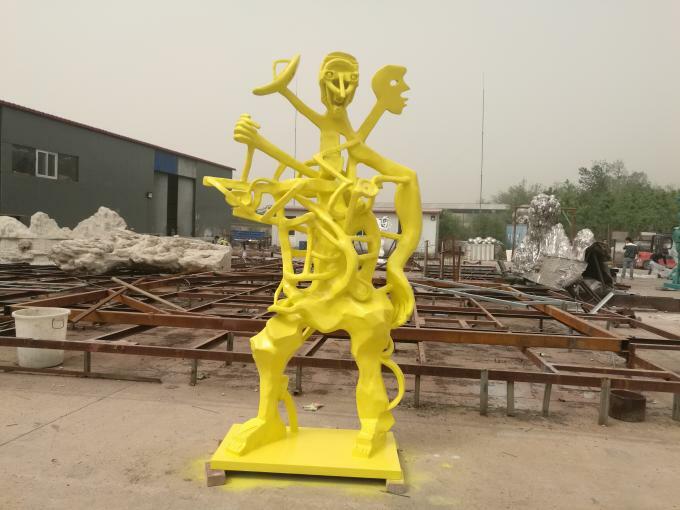 Beijing Zyea Construction Co., LTD is the leader in stone and bronze sculptures in China and is well-known for providing superior quality works for art studios and overseas companies. We produce several series Abstract bronze sculptures for American art studios, stainless steel sculptures exported to USA, Japan and Hongkang. More designs can be create based on your designs. 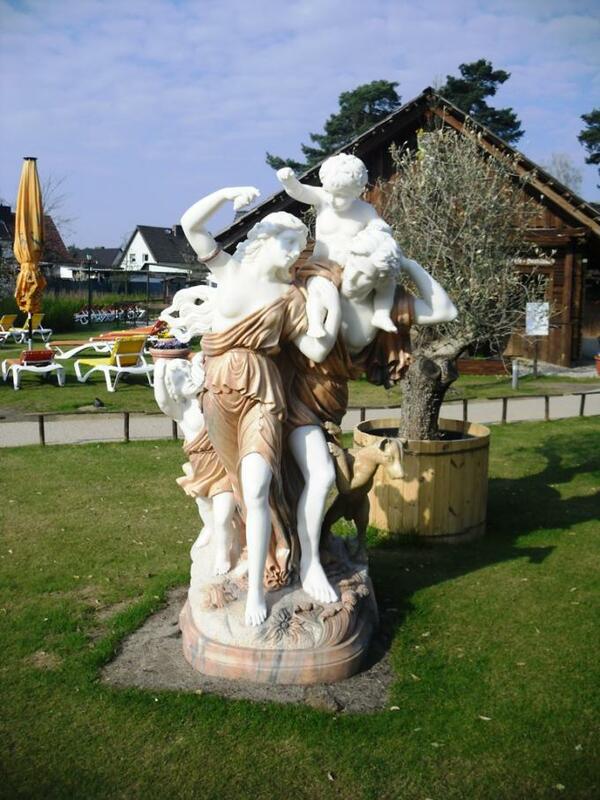 Lots of Marble sculptures exhibited in many countries, such as USA, Germany, Italy, Australia, and Uzbekistan. One famous Skateboard girl sculpture exhibited in NY Brooklyn Museum. Main stone products : stone fountain, marble fireplace, stone bust, stone columns, gazebo, relief and other stone carving products. 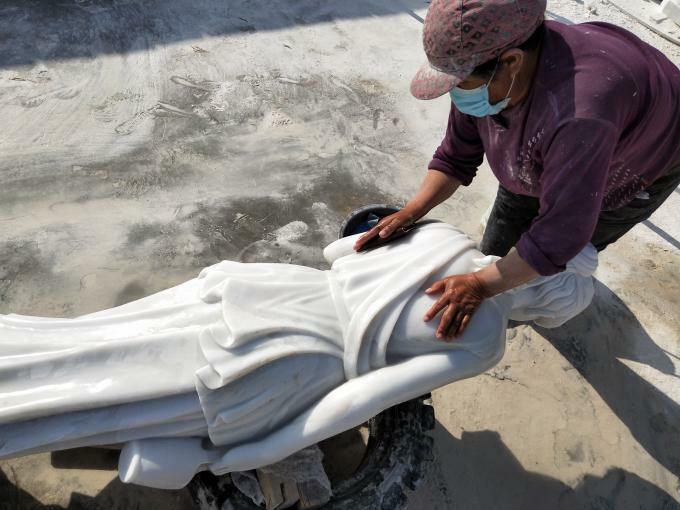 For more than 15 years' producing and export experience, our stone statues and metal sculptures have been exported to North America, Europe, Asia and Oceans. Making customized sculptures is our largest advantage. Clay mold service could meet your demand and realize your artistic creativity and 3D printed mold or 3D Obj files are also welcomed on which we can create sculptures based. We are ready to create the best sculptures for you. If you have any inquiries, please feel free to contact us. 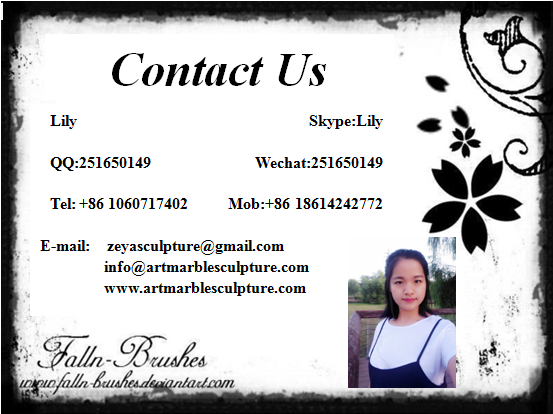 Beijing Zyea Construction Co., LTD is one of the largest sculpture manufacturer in China. With more than10 years experience in stone carvings and metal sculptures. Stone carvers had joined many large project, such as Olympic sculptures. 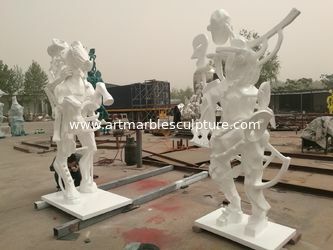 Marble replica for artist in London,marble sculptures for New York Brooklyn Museum, stainless steel sculptures for domestic and foreign market. 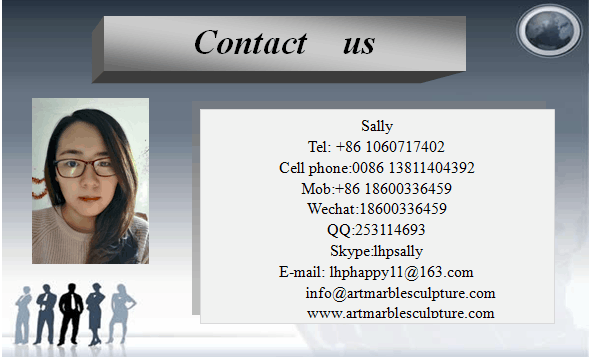 We can carve any art stone sculptures for you. Clay mould service can ensure the quality. Main products: bronze sculptures , stainless steel sculptures, marble sculptures,marble replica, busts, marble columns, marble relief, marble fireplaces, stone fountains, marble carving panels. 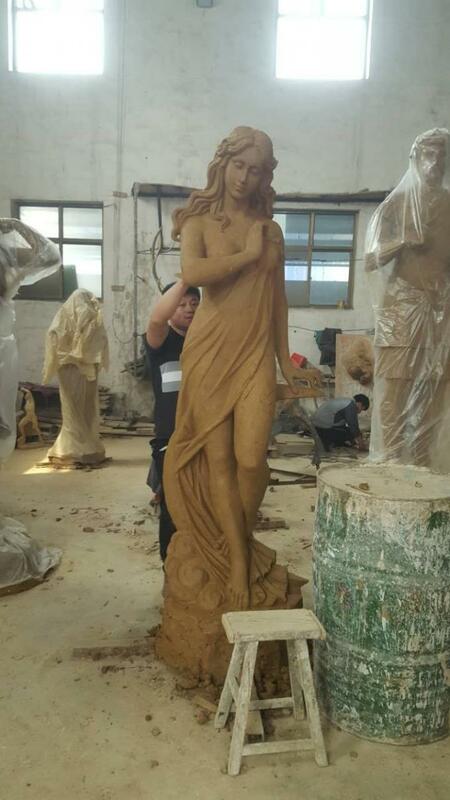 We can offer clay mould statue service, stone carvings,marble Replica, stone garden ornaments, marble interior decoration,bronze sculptures and stianless steel sculptures. Customized sculptures for studios are our advantage. 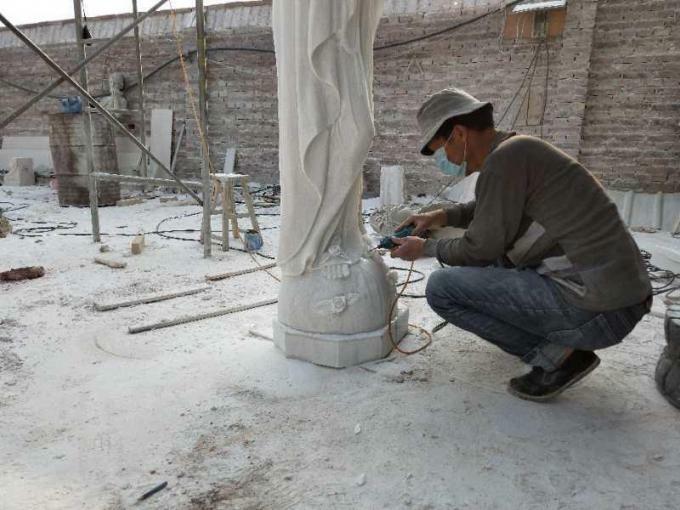 Marble Sculptures will be carved and polished by hand. The sculptures can with different surface finish, such as polish, painting, patina colors. 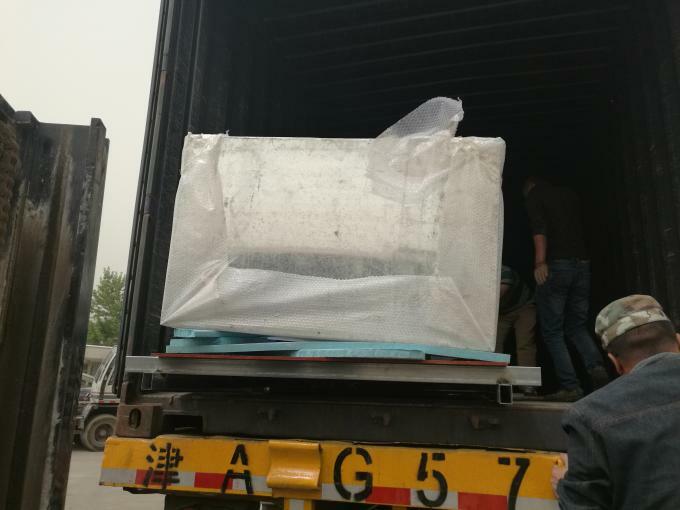 We can offer Logistic and Custom Clearance services, FOB, C&F, DDU or DDP all of them are ok.
We have professional sales manager for foreign sculpture markets. 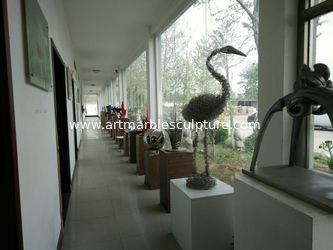 Sculptures are exported to more than 10 countries, Overseas manager with more than12 years experience in exporting sculptures. 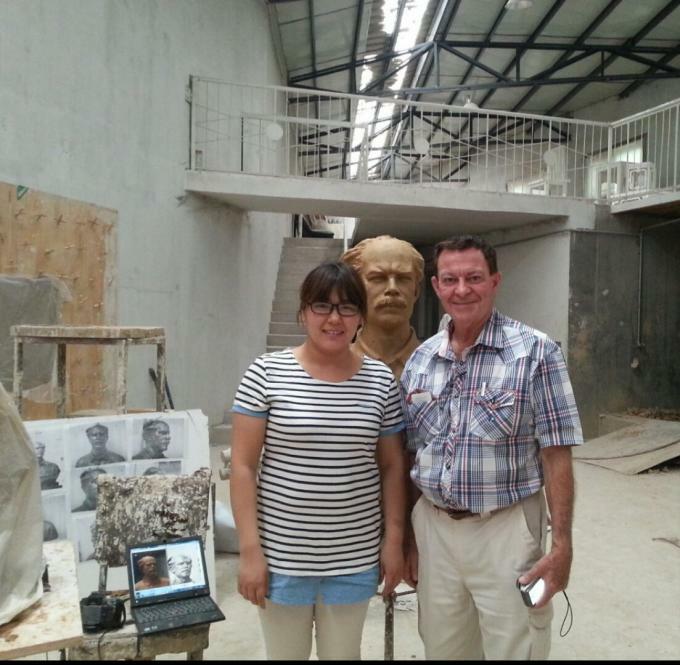 The stone Carvers with more than 15 years for caring marble sculptures. 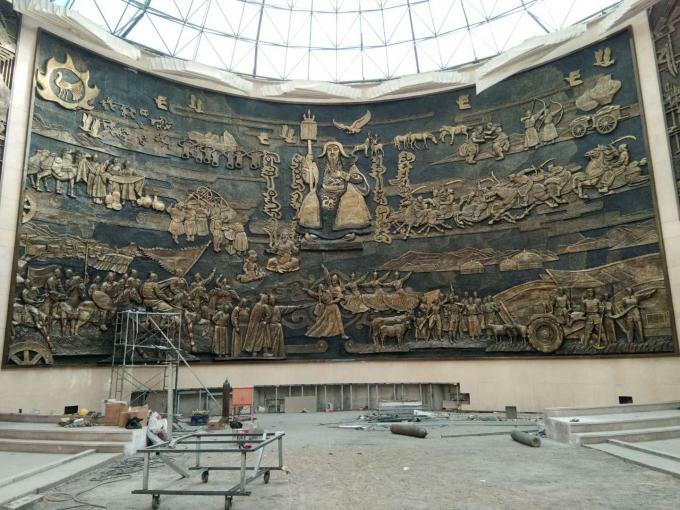 Most of them had joined many large project, such as Olympic sculptures. Marble replica for artist in London, sculptures for New York Brooklyn Museum. Customized bronze and stainless steel sculptures are welcomed in USA. 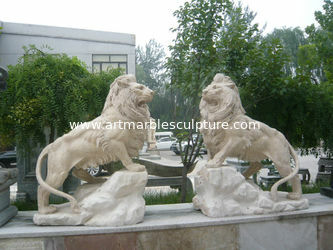 We can supply best quality sculptures and professional service for you. Any questions feel free to contact with us.